t’s an invitation to pull up a chair and stay for dinner. Or, permission to prop your feet on the couch and rest your head on the pillows. It’s the kindest way to say, “You’re welcome here.” With the cheerful inviting tones throughout the designs you’re guests will not only be impressed, but will want to stay and make one themselves. “Make Yourself at Home” will become a delighted phrase in every household. 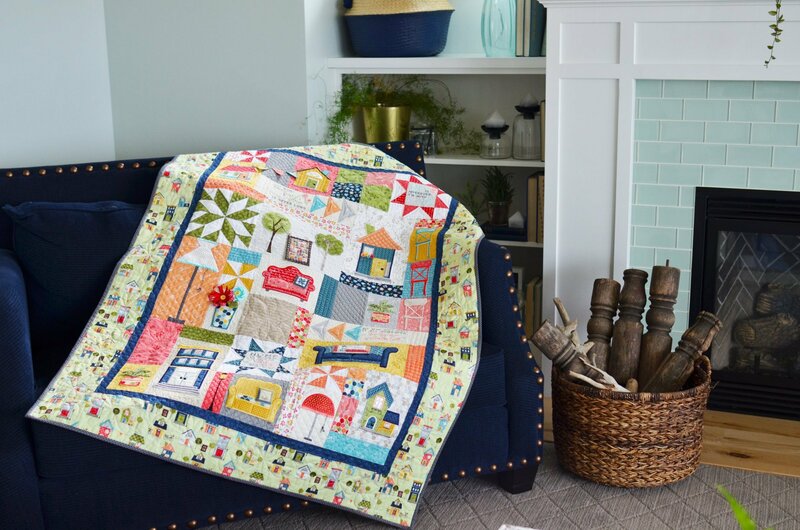 As you learn fun embroidery techniques and enjoy the traditional piecing of Kimberbell’s feature quilt, you and your guests will delight in all the details.